I think one of my New Years resolutions should be to stop buying lip products and things in general just because they're purple! 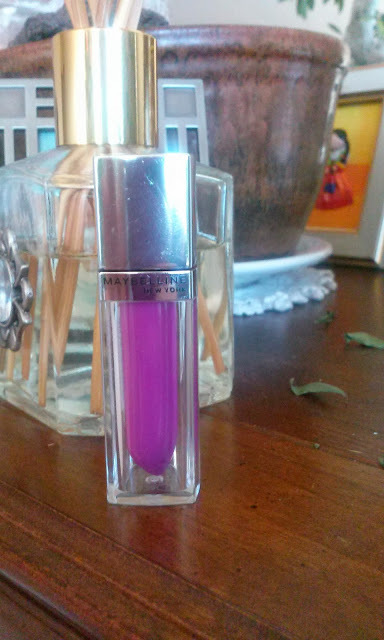 I wasn't planning on getting any of the new Maybelline the Elixir glosses, but I couldn't resist when Rite Aid had the line for 40% off and I had a $2.00 off coupon on top of it! I picked up the color Vision in Violet, which you can now find in pretty much and drugstore. 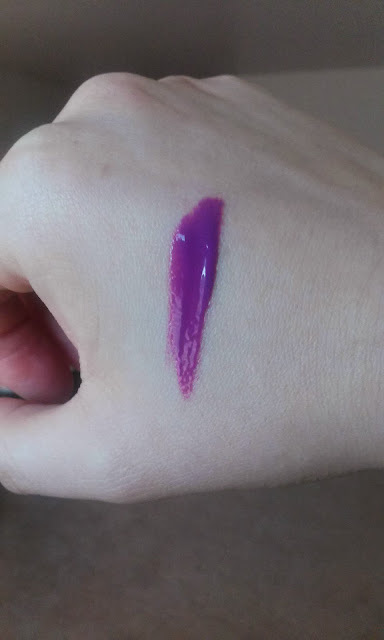 This is a liquid balm that is slightly thicker than a gloss, but not as thick as liquid lipstick. It has a bent doe-foot applicator and has a stronger sweet smell which doesn't bother me. 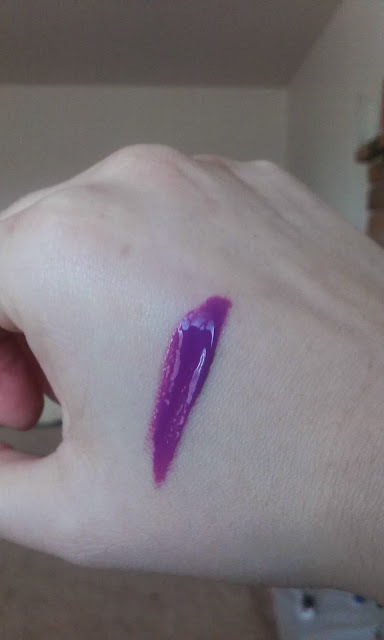 It swatches pretty dark and can be sheered on but it has cooler undertones and the purple color also has some pink base to it. 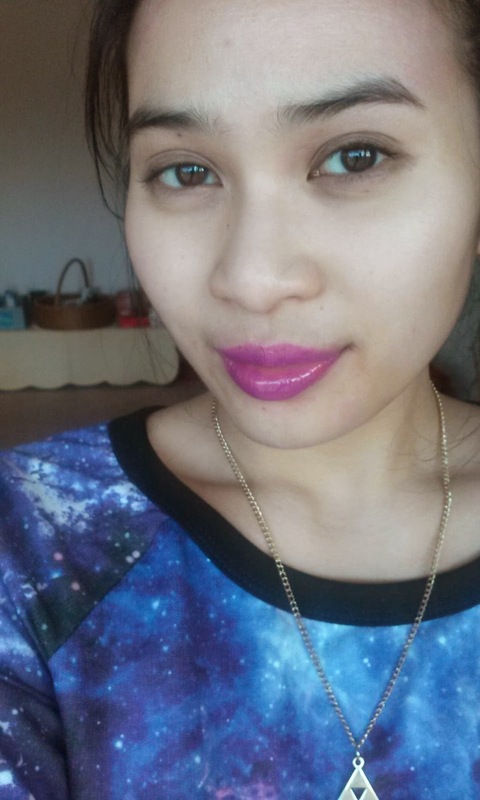 The consistency wasn't exactly 100% even on my lips and some parts of my lips were more pigmented than others. It does take a while to work with it to make sure you have an even application. 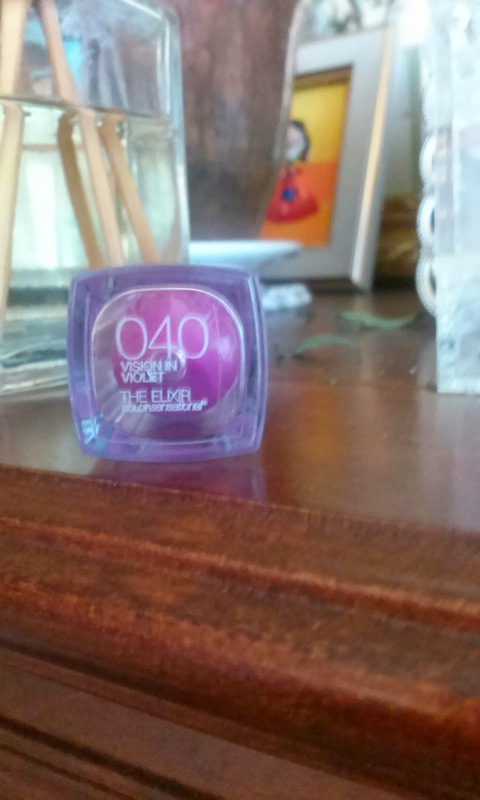 I actually recommend using this over a purple lipstick/liner so the base of your lips won't show through too much looking too uneven. The next pictures are inside in natural lighting. 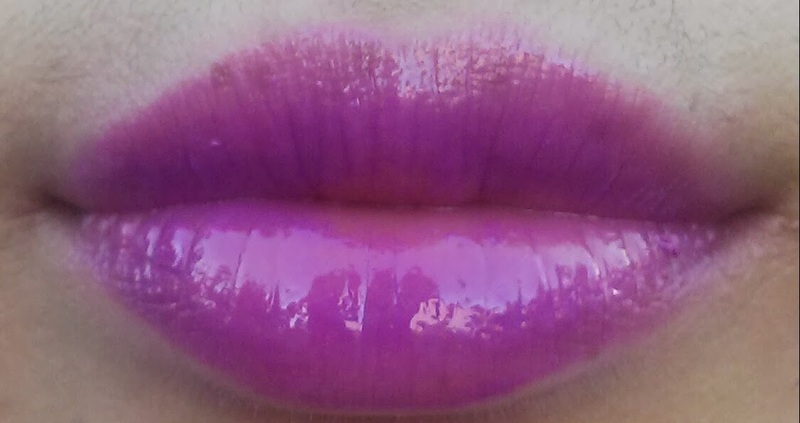 From a distance, the color looks like a purple/pink and leaves a nice shine to the lips. I do indeed like the color and formula a lot on this, but it takes a bit more effort than I would like for even distribution. It does last for a good while though but not for all day wear. This does leave my lips hydrated and isn't sticky for me. It also gives my lips a plumped look which I like as well. These retail for around $6.99 (Target) to $8.99 (basically everywhere else) but if you can find coupons or catch them on deal, I would check them out. I think the darker and more pigmented colors are harder to work with but I would love to try the lighter pinks and nudes and think they will turn out much nicer! Because I do love purple colors so much, I don't think I mind working on this a little to get the desired look.. You can wear these sheered out too as well so that may be easier in terms of application. 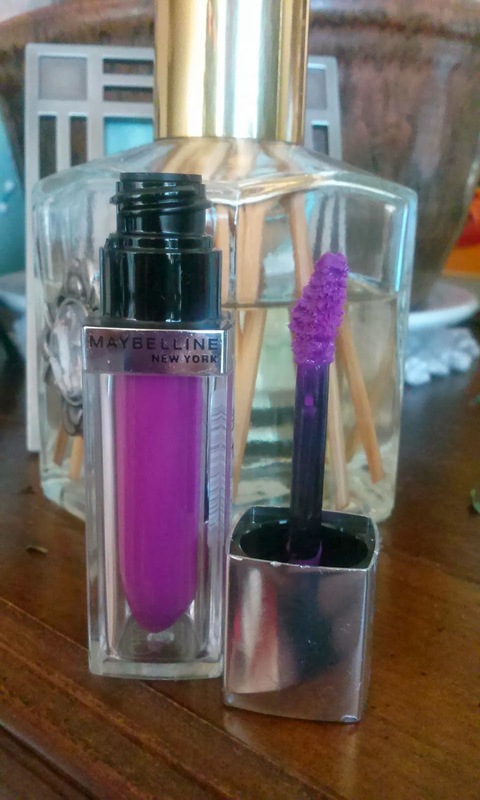 Have you tried the Maybelline Elixirs yet? What's your favorite one out of them? I know right?!? Haha and thank you, you're too sweet! 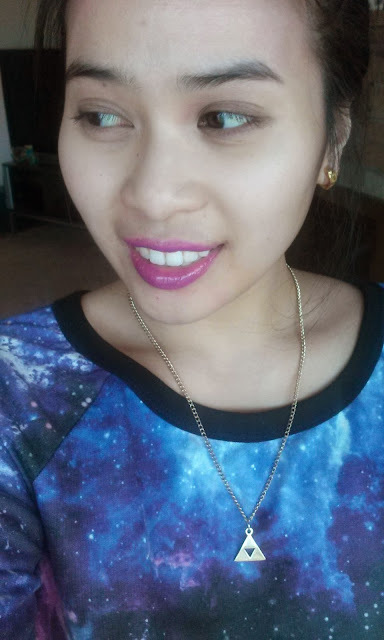 thanks for stopping by my blog...following you now..hope you follow back if you haven't.. If you're looking for a reputable contextual advertising company, I suggest you take a peek at Chitika.